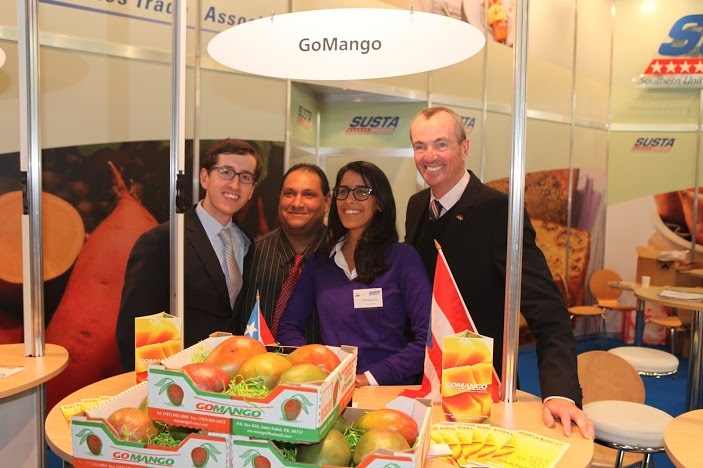 Article: MS Mango Participate in Fruit Logistica ’13 | GO MANGO! 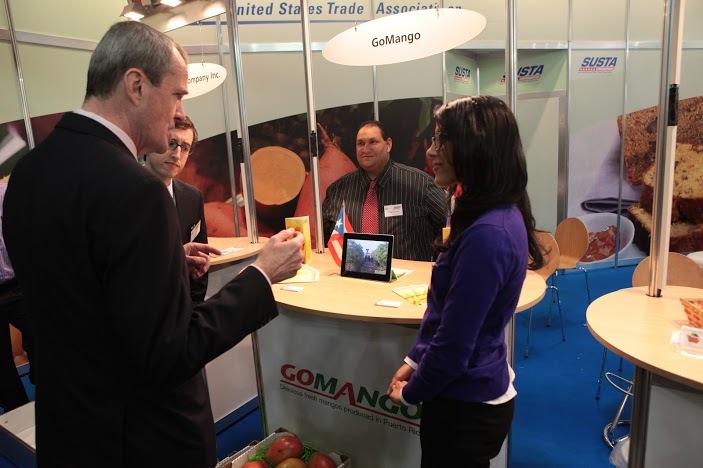 Thursday, February 7, 2013 Ms Mango, Puerto Rico’s third- largest mango grower and exporter, is participating – with the prospect of finding new export markets – in the international fresh produce trade show Fruit Logistica 2013 underway in Berlin. Fruit Logistica 2013, which concludes today, is the meeting site for more than 2,400 companies world- wide that make up the international fresh produce distribution chain. “Puerto Rico’s presence in Fruit Logistica 2013 allows us to strengthen our corporate image, while at the same time establishing key contacts with importers and other potential business associates for a diverse number of destinations in the European market,” said Secretary of Agriculture Myrna Comas Pagán. She noted that Ms Mango is one of the largest and oldest mango farms in Puerto Rico, with a total 520 acres in farms in both Santa Isabel and Juana Díaz, where it produces the Keitt and Tommy Atkins varieties of the fruit. The larger part of both farms’ harvest is exported to Europe under the GoMango brand. This means the company is required to adhere to strict local and international quality control standards, among them Global Good Agricultural Practices, Comas Pagán said. Ms Mango and sister farm GE Mango, in Santa Isabel, are co-owned by partners Yoav Cohen and Menashe Mashiach. “We are honored and thrilled to have the opportunity to represent Puerto Rico in the world famous Fruit Logistica trade show, where we expect to both promote our product and expand and diversify our market,” Cohen said. Article in The Star newspaper about GO Mango Presence in Fruit Logistica ’13 in Berlin, Germany.